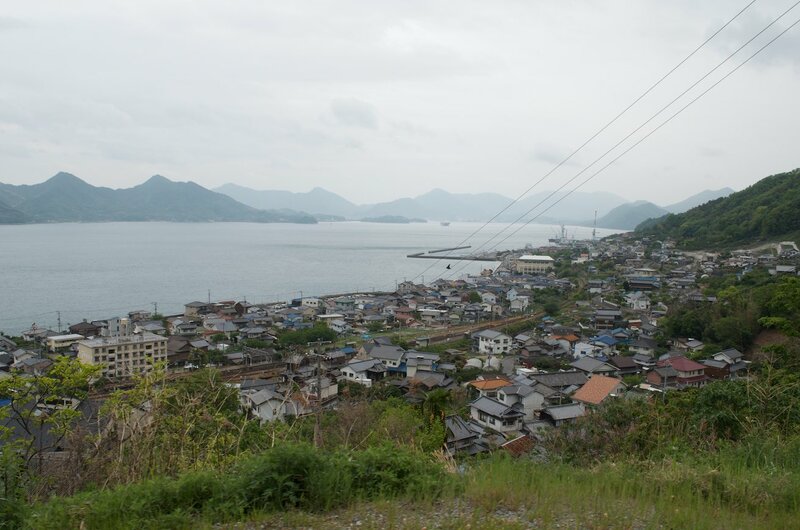 The city's name references the three (mi) plains (hara) that the three main rivers split the area into. Mihara Castle was built upon the plains here in the late 1500s and a castle town grew up around it. Today, the train lines cross what remains of the foundations. The castle was originally located on the ocean and the Imperial Navy took over the castle grounds and attempted to build a naval base here in the Meiji period. Accumulated silt from Nuta River created problems for this plan and the remaining structures were sold at auction when the base was abandoned. 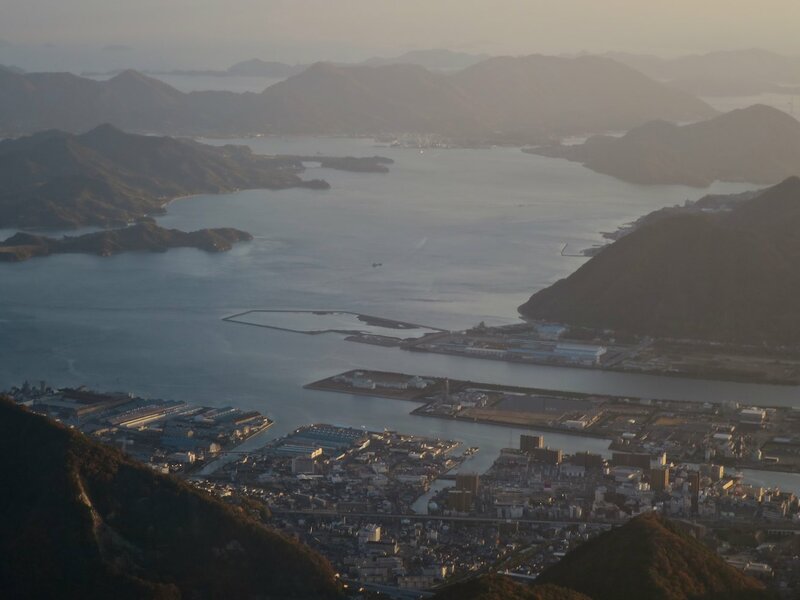 The area around Mihara in the Seto Inland Sea is, apparently, ideal octopus habitat. There's plenty of food, a stable temperature and a rocky ocean floor. The prime fishing times are June to August and then again from November to March. The two month break is during egg laying season for the octopus. The area's octopus are prized for their short, fat and succulent arms. They have been the area's specialty food since the Edo period. Hiroshima Airport is located in the western hills of Mihara City. The Zen buddhist temple, Buttsuji, is located a fair distance northwest of Mihara City. Under the patronage of the Kobakawa's, a deeply religiously devoted family, Rinzai-Zen Buddhism enjoyed a golden period where, at their height, they governed 88 sub-temples and 3,000 smaller temples. Zazen retreats (Zen meditation) are held on the weekends at the temple. This famous shrine is located 20 minutes drive north of Mihara City. Hachiman is the patron god of samurai and protector of Japan and its people. Despite being a god of war, it's somewhat fitting with the romantic image of samurai battles that most people have that the temple grounds are more pretty and ornate than imposing. Over 30,000 other shrines to this Kami (god) exist across Japan with the most famous being in Kamakura (south of Tokyo). Sunami Beach Park is a large ocean recreation area which is nationally recognized for its design. 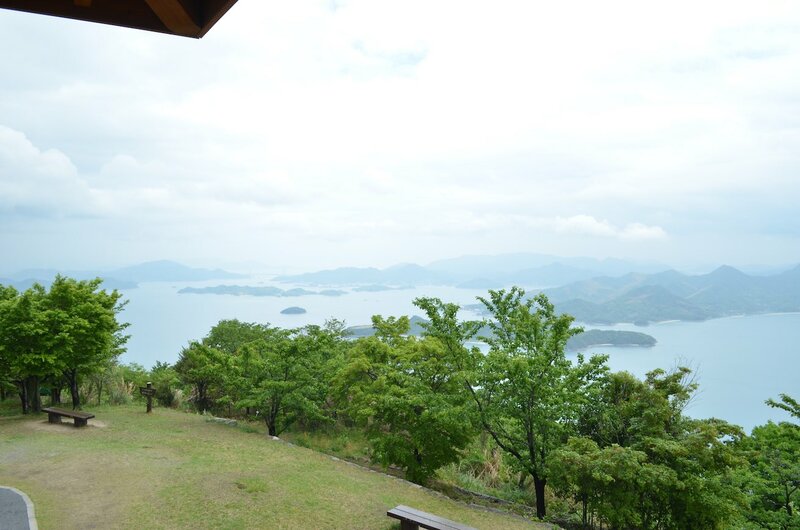 The ocean park is located 20 minutes by bus west of Mihara City on the Seto Inland Sea. The beach is extremely popular in the summer because of its well thought out design. 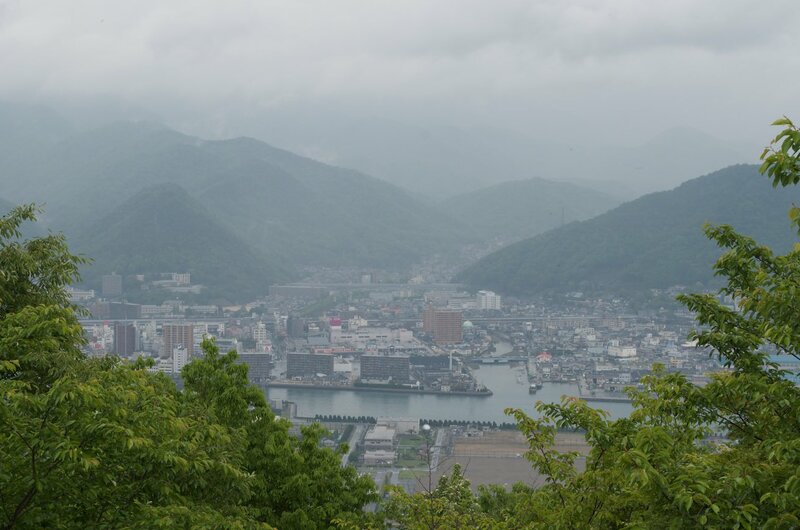 Mount Fudekage (筆影山 - 311 meters) is a popular hiking destination south of Mihara City. 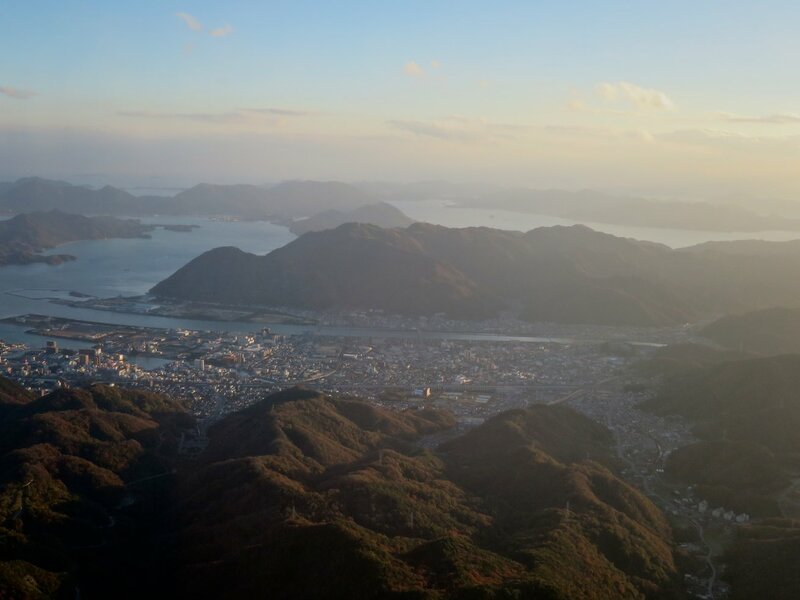 The view from the mountain was featured in JR West's "Discover West" advertising campaign. The plateau at the summit features a brand new viewing platform and a small cherry tree picnic field. 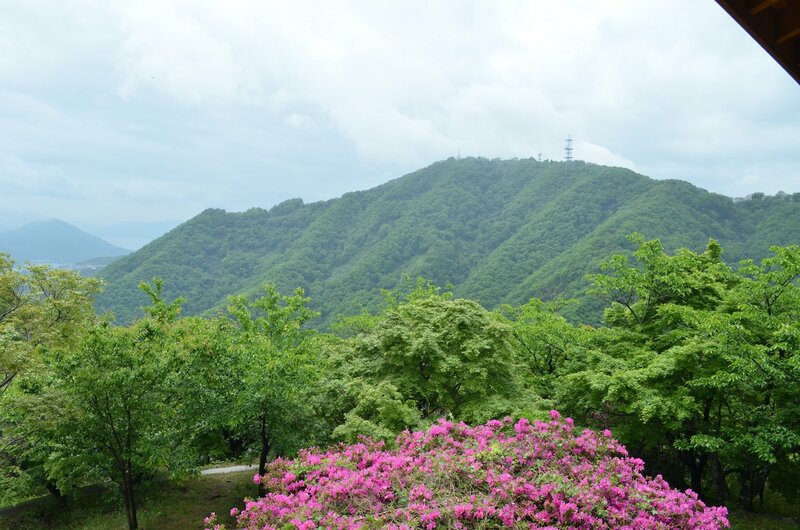 Mount Ryuou (竜王山 - 445 meters) and various scenic spots can be reached via the hiking trails on the mountain. Mount Fudekake can be climbed from JR Sunami Station (Kure Line) and Wadaguchi in about 60 minutes. 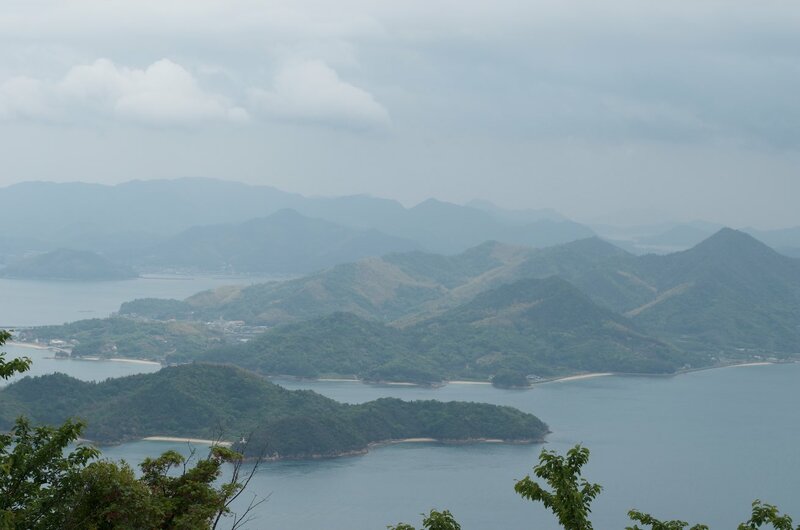 Hiking from Mount Fudekake to Mount Ryuou takes around 60 minutes. There is also a smaller direct path from Sunami Station to Mount Ryuou. Like many places in the Hiroshima area, evidence of habitation extends back into the Jomon (13,000 BC to 300 BC) and Yayoi periods. The most famous family to rule the area, the Kobayakawa clan, rose to power in the 1300s. By start of the 1400s, they controlled a vast domain but their empire fell apart during the Onin War (1467-1477). In the Edo period (1603-1868), the Mihara area became to be under the control of Hiroshima-han. Mihara City amalgamated into it the towns of Kui, Daiwa and Hongo on March 22, 2005. Mihara Station is a Shinkansen station as well as a hub for local trains. It is where the Kure City bound train line which follows along coast from Hiroshima City to Mihara City rejoins the more direct east-west Sanyo-Honsen Line. Local trains take a bit over one hour to go between Mihara and Hiroshima on the Sanyo-Honsen Line and over two hours on the Kure Line. Kodama-class shinkansen trains take 24 minutes to travel between the cities. Hiroshima Airport is located to the west of Mihara City. 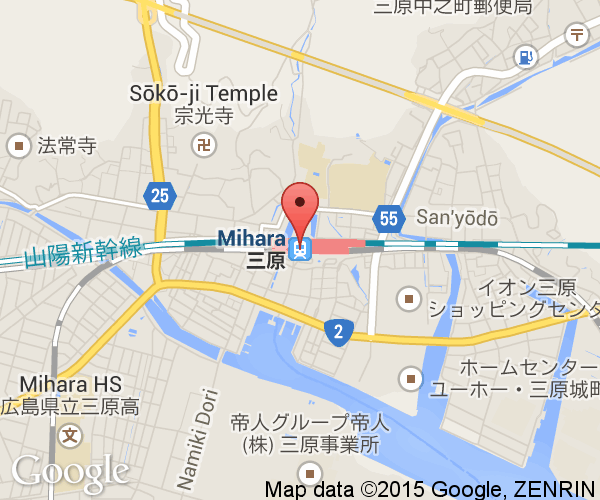 Mihara is located on the east-west National Route 2. The route uses an impressive series of bridges and tunnels to bypass Mihara.